Counter-Strike Global Offensive is one of the most popular online first-person shooting games out there. It’s widely loved by its casual audience and is even played in international eSports tournaments across the world. With Global Offensive, Valve introduced official skins for weapons in the game — a process that was earlier left to modders, and editing game files locally to change the look of a gun. With official skins, players can purchase and trade weapon skins, and uniquely customize their weapons — something that CS: GO players are apparently taking too seriously. A quick browse through the skin store will show you knife skins that go upwards of $1,000. Some even go higher than $10,000. It’s just ridiculous, but it’s there, and there are people who actively purchase and trade these skins. However, one guy just topped every other insane transaction in CS: GO by purchasing a rare AWP skin for a price of $61,052.63. Yes, you read that right. A game that costs $14.99 on Steam just encountered a purchase of $61,000. I’m sure you’re wondering what’s so special about the skin in question. Well, as it turns out, the skin was a rare skin from one of the game’s Cobblestone Packages — these packages are only dropped during Major tournaments (third party, Valve sponsored events), so players can’t get them in normal gameplay at all. Plus, the skin has a sticker with Cloud9’s Tyler ‘Skadoodle’ Latham’s autograph on it. 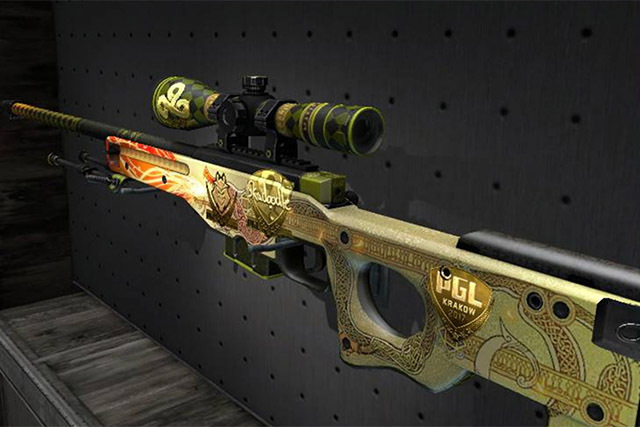 He’s one of the most impressive snipers in Counter-Strike, and an AWP skin with his sticker is definitely something fans would like. I mean, sure, it’s a special skin and all, but $61,000 for a skin is extremely expensive, kind of stupid, and unless it gives the user magical powers to take flick shots like Skadoodle, I don’t see the point.